Every user of iPhone knows that there are unlimited features and facilities come with iPhones. Anyone can set them exactly according to his present needs and can change them again when needed. This is the reason why iPhones are getting popular day by day. In general settings of iPhone, the screen of iPhone automatically turns off and there is screen lock. This screen lock is very important in many situations and has its crucial need. But if you don’t want to go with screen lock and keep iPhone screen always on, you can do this too. However, it may consume some extra battery power and everyone can access to internal options of your phone. So, if you are in a situation where you need to keep iPhone screen always on, you have to follow the useful steps mentioned below. Step 1: First of all, you need to go “Settings” menu. Step 2: In Settings, you need to open Display & Brightness. Step 3: When you will select and go in Display & Brightness menu, there you will see an option of Auto-Lock. Step 4: At this step, you will see different time options in a list. You have to select “Never” option. Step 5: All done! This selected ‘Never’ option will help to remain screen of your iPhone always on. So, you have learned how to control the screen off of your iPhone. When you will follow above-mentioned steps, you will easily make the screen of your iPhone always on. Keeping on the screen of your phone will consume the battery rapidly. If you want to get the always-on clock feature, then you can install this awesome app called OLEDX. 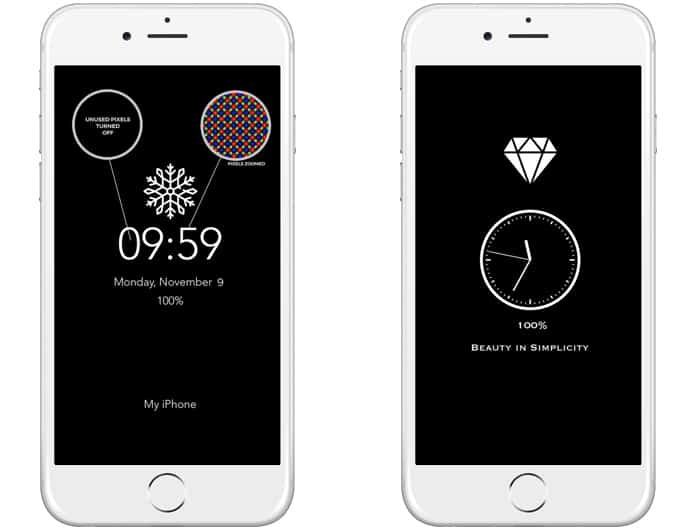 You can use it to add a Samsung like always on clock on your iPhone – works on any iDevice and iOS version. It can also result in some undesired actions which can take place accidentally in your pocket. So, you can use Power Button which is at the top or at a side of your iPhone. 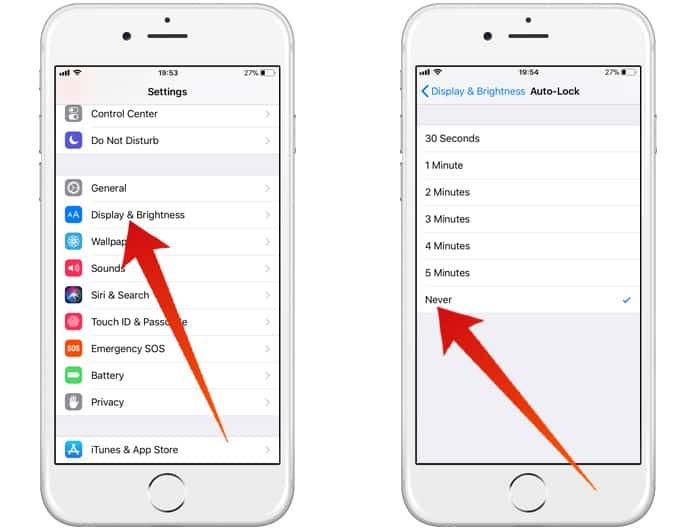 By pressing that button, the screen of iPhone gets rapidly turn off. 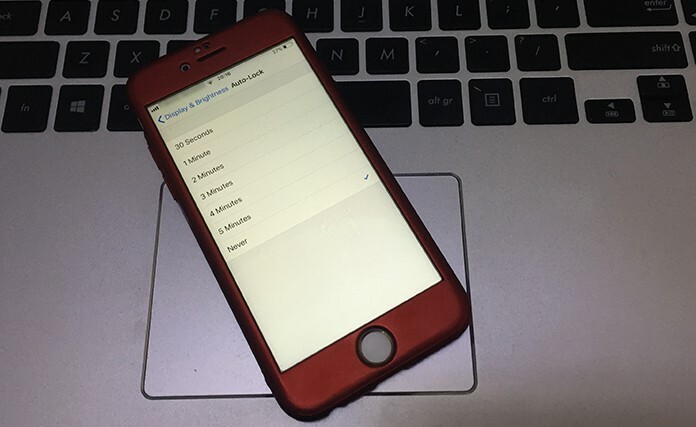 Previous articleHow to Check If Your iPhone Is Refurbished or New?